We had a glorious day for our Harvest Festival on the 23rd September. The sun came out and brought the crowds with it. 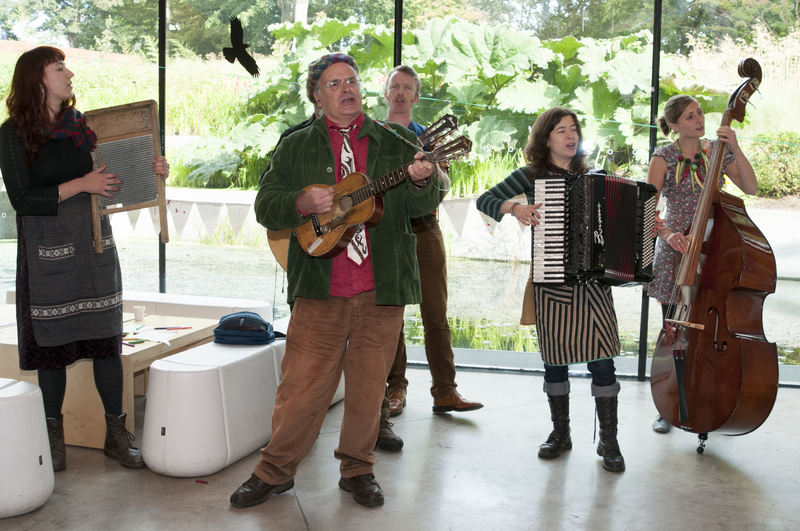 Visitors arriving on one of our busiest days this year were greeted with a variety of entertainment.The Barrow Band and their amusing and surprisingly informative tracks about vegetables topped the bill. Method; Wash the leaves well. 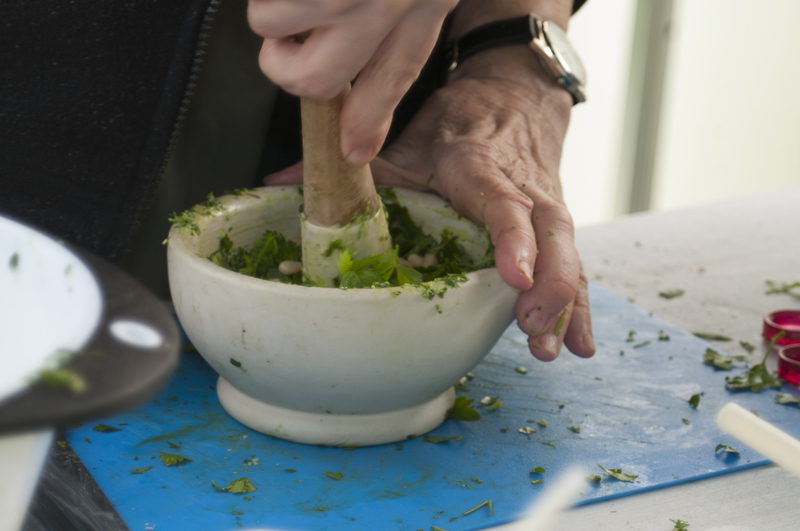 Grind them with the nuts using a pestle and mortar. Put in a bowl and mix with oil, salt and pepper. We ate ours spread thickly on crackers there and then in the garden. According to some Italian visitors it was the best pesto they had ever tried! Nothing beats such fresh produce. 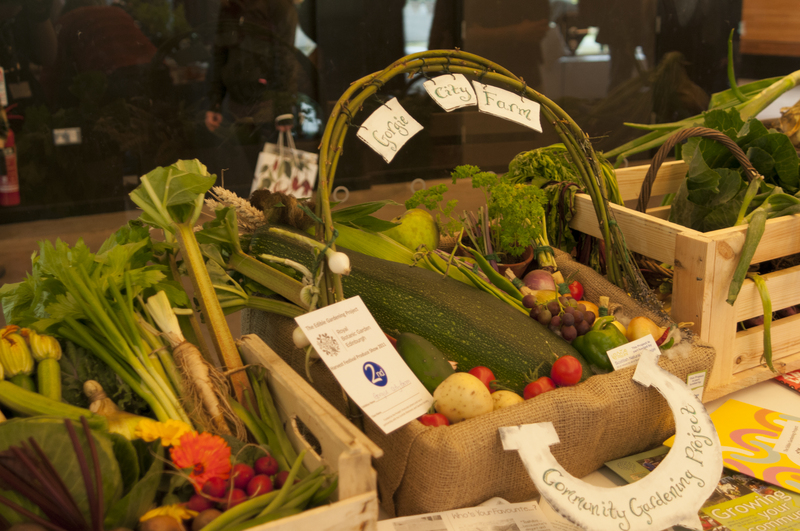 A popular part of the day was our community gardens produce show. Many thanks to all the local groups who entered and congratulations to Redhall Walled Garden for the first prize and Gorgie City Farm who came second. The Royal Edinburgh Community Gardens and Granton Community Garden were awarded a highly commended certificate. All the community gardens do a wonderful job and are well worth supporting. They provide opportunities for people all over the city to spend time outside in beautiful places and get involved with gardening. Thanks to Amy Fokinther for the great photos.